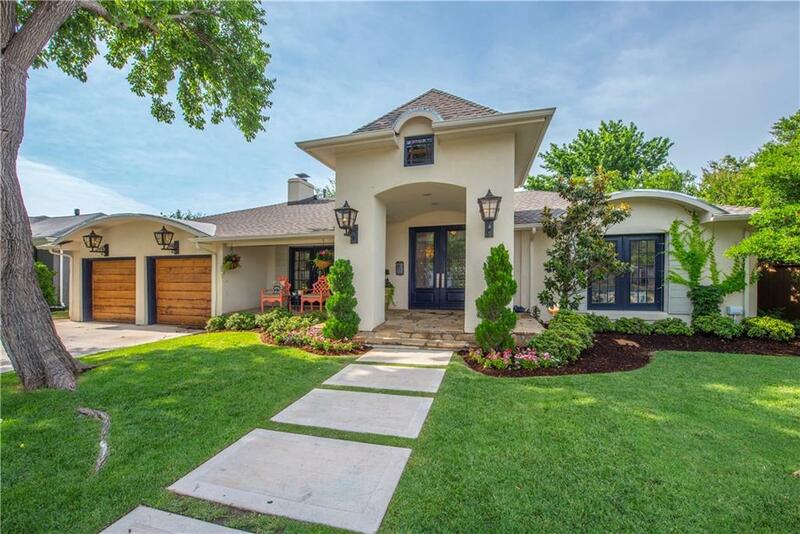 Special Nichols Hills property! COMPLETELY renovated, the open floorplan accommodates a crowd and is a wonderful space to entertain. The kitchen offers a curved bar, granite countertops, stainless commercial appliances and a fabulous walk in pantry. In addition to the formal dining room, there is eating space with a built in bench adjacent to the family room. The vaulted ceiling features a window above the sliding doors that lets in abundant light! Open the sliding doors and enjoy the covered outdoor living space, equipped with heaters, overlooking the beautifully landscaped backyard! The 4 bedrooms include an oversized master that opens out to the back patio. The elegant master bath has a soaker tub, large shower and 2 walk in closets! The second family room (a great place for the kids to hang out) is upstairs with high ceilings and extra storage. New roof and floors 2017, H&A 2010, new paint 2018, new fireplace tile and mantel, the list goes on and on. One of Nichols Hills finest! !